After months of speculation about the longevity of the Shopko store in Missoula, the company on Monday made official its plans to close the location, along with 10 others in Montana. 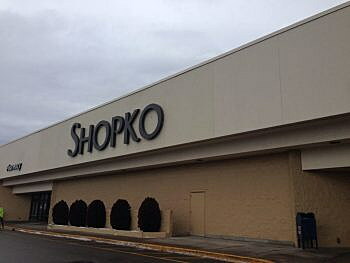 Shopko, founded in 1962, will liquidate its assets and close all remaining national locations by the middle of June, according to documents filed in Monday in U.S bankruptcy court. The Green Bay-based retailer started closing some stores and pharmacies back in December before filing for bankruptcy in January. It announced plans to close 250 stores in February. The list was expanded on Monday to include the remaining 150 stores, including those in Missoula, Kalispell, Billings and Helena, among others. The company employed more than 15,000 people nationwide, including several hundred in Montana. Before Monday’s announcement, speculation was already underway about the future of the Missoula location and what will become of the 100,000 square foot building once it’s closed. The old K-mart property on Brooks Street closed roughly seven years ago and was eventually redeveloped with help from tax increment financing through the Missoula Redevelopment Agency. The old Sears store at Southgate Mall underwent a similar fate, and a similar redevelopment plan.